The public’s awareness of Iron Man has never been higher than it has been in the last eleven years, thanks in large part to the character’s breakout film in 2008 that helped give birth to the Marvel Cinematic Universe of which Iron Man has very much been the poster child of. In that time however, Tony Stark has failed to break free of a cave made up of rushed to market movie tie-in games that have at best been okay. Iron Man has been featured as part of an ensemble collection of Marvel characters in terrific games like LEGO Marvel Super Heroes and as a playable fighter in the last two Marvel vs. Capcom outings, but has failed to become a star in his own series of games like Batman and Spider-Man have in the same time frame despite being arguably one of the most popular superheroes in the world. That could very well change later this year with the announcement of Marvel’s Iron Man VR, a PlayStation VR exclusive title in development from Camouflaj, a studio founded by Ryan Payton who worked on both the Halo and Metal Gear Solid series that was announced last month. Though Iron Man’s solo video game adventures serve as a template of sorts of what not to do when making a game about the Armored Avenger, it doesn’t mean that there’s not something that the team at Camouflaj can learn from them either. Back in 1996, Iron Man meant very little to the greater pop culture world at large, so much so that the character’s breakout starring role was shared with Valiant’s X-O Manowar. 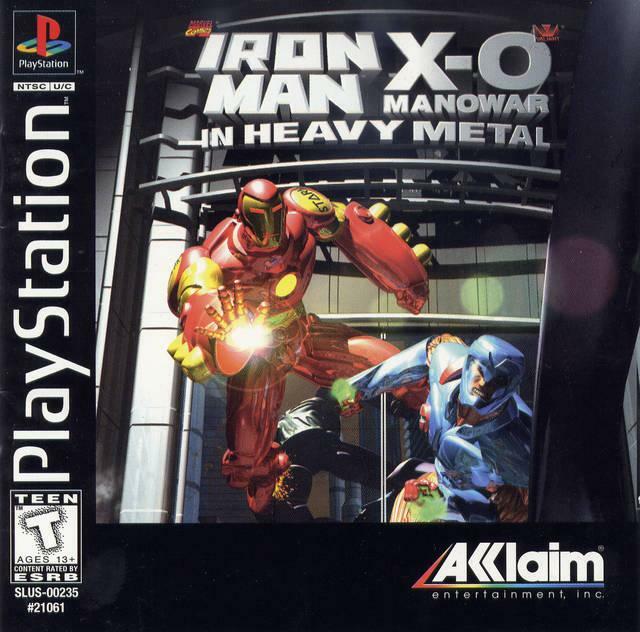 Whether or not it was because someone really wanted to make an Iron Man game, or more than likely because the license was cheaply obtained due to Marvel’s financial difficulties at the time, Acclaim nevertheless took a gamble on producing an Iron Man game at a time when he was struggling to be even a C-list character. Iron Man of course doesn’t have the publicity problem that he did two decades ago, but Camouflaj, a studio with some terrific talent but as of this writing has only shipped the episodic title République, is taking a chance with a hugely important license just like Acclaim did which is something that comes with a lot of pressure and expectations regardless of studio size. One of the best games even today to star Iron Man is the late 2002 release The Invincible Iron Man for the Game Boy Advance, a title where Iron Man has his feet firmly planted on the ground, running, dashing and firing charged shots just like Capcom’s Mega Man. 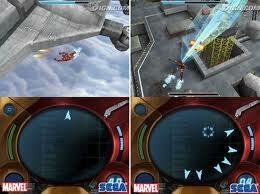 From the first footage seen in the debut footage for Marvel’s Iron Man VR, you can see the character flying through the air, shooting at aerial targets on-rails not unlike Nintendo’s Star Fox or Sega’s Panzer Dragoon series. While flying through the air as Iron Man would by a lot of fun, it’s something that many feared would make the game feel shallow if that’s all you do and not the game they dream of when they hear the title Marvel’s Iron Man VR. Since the launch trailer late last month, members of the press have gotten some hands on time with the title and alleviated the fears that many had that this would just be a flying shooting gallery. In an article published on Kotaku, Ryan Payton listed 2017’s Resident Evil 7: Biohazard as a “life-changing” experience, presumably from the way that game allowed free movement in a VR title to immerse the player into the experience as opposed to the “teleportation style seen in a lot of virtual reality games. In the same article Payton mentions his time with the Halo franchise as another inspiration for his studio’s Iron Man game, hoping to capture the the wide open sandboxes and combat scenarios the series placed the player in. Just as The Invincible Iron Man took notes from Capcom’s Mega Man, so too is Marvel’s Iron Man VR looking towards other games to help in its design. 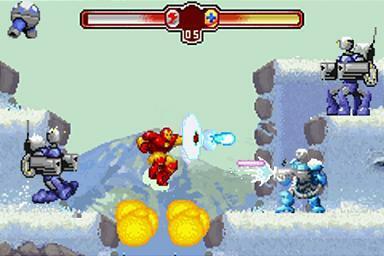 Marvel Studios’ Iron Man kicked off the summer movie season in May of 2008, and as was the style at the time, it was accompanied by tie-in video games across many consoles and handhelds from publisher Sega. Iron Man (2008) was far from beloved in the eyes of critics, but there are still some clever ideas that can be mined from it. Firstly, it placed Iron Man in some wide open areas for the player to explore – something Payton already mentioned he hopes to accomplish with Marvel’s Iron Man VR. Secondly, it introduced the systems management mechanic wherein you could allocate less or more power to some of Iron Man’s core functions. How this works is that you can use the directional pad to move powers to different parts of Iron Man’s armor where it’s needed. For example, if you need to get to one side of the map quickly, you can take power out of your weapons systems and put them into flight and conversely if you need more firepower, you can put more power into that area. Marvel’s Iron Man VR from what people have experienced of it from a brief hands-on looks to have you switching from a few different skill sets so this game could serve as an opportunity to implement one of the best ideas from Iron Man (2008). Up there with The Invincible Iron Man as one of the better solo Iron Man video game outings is Iron Man (2008) on the Nintendo DS. The portable take on the material can best be described as a twin-stick shooter where you can control Iron Man’s direction with the directional pad while you manage aiming your weapons with the touch screen. It sounds clumsy, but it works very well within a few minutes of playing the game and it makes you wish that someone would’ve produced a stand alone arcade shooter that built upon this idea. Like Iron Man (2008) for the DS, Marvel’s Iron Man VR is also experimenting with a unique control set-up. As opposed to controlling your character with a DualShock controller, you’ll control Iron Man completely with two Move Controllers, one in each hand. Everything from movement to both melee and ranged combat is handled with the two wands, and just as it was with Iron Man (2008) on the DS, Marvel’s Iron Man VR is looking to redefine how players interact with the world as the title character. Leading up to is release, there were promises from the development team that put together Iron Man 2 that they had learned from the mistakes of the first movie tie-in game, but such things were not reflected in the finished product. But, as it was with Iron Man (2008), there are some things that can be taken away from Iron Man 2, the first being the sound design. The hum of Iron Man’s repulsors from 2008’s Iron Man is now up there with Spider-Man’s thwip when firing a web and snikt from Wolverine unsheathing his adamantium claws as iconic superhero sounds effects. In Sega’s first Iron Man game though, the shots coming from Iron Man’s hands sounded disappointingly like generic lasers, something that was corrected for Iron Man 2 and hopefully is present in Marvel’s Iron Man VR. What could be an another awesome take away from this game – especially for the VR platform – is the scale of some of the enemies you face in Iron Man 2, in particular the final boss encounters. In all of the versions you face a giant robot called Ultimo that’s about the size of a tall building. Seeing an enemy on this scale from the perspective of your VR goggles in Marvel’s Iron Man VR could make it one of the best showpieces for the PlayStation VR hardware, especially if you’re able to topple something that large. Lastly Iron Man 2’s other hook was that it allowed you to play as James Rhoes, a.k.a Rhodey, a.k.a War Machine. The focus for Marvel’s Iron Man VR should be on getting Iron Man right of course, but you can’t deny how cool it would be to control the heavier War Machine armor, especially turning your head and seeing the giant gatling gun on your shoulder and hearing it loudly come to life from one side of your head if you’re playing with headphones. If this doesn’t happen in Marvel’s Iron Man VR, it would be a great idea for a sequel. Iron Man 3 didn’t get the multiple game treatment, getting only an endless…flyer? free-to-play mobile game from developer Gameloft that is now sadly unable to be played as it has been delisted. What kept players engaged with Iron Man 3 – The Official Game was the promise of countless unlockable armors if you played long enough or if you just simply threw down some extra dollars. Having multiple costumes to unlock is not unique to Iron Man 3 – The Official Game, but it’s the game that has included the most Iron Man costumes to collect in a solo Iron Man game to date. Marvel’s Iron Man VR will primarily be played from a first-person perspective, but it would still be great to be able to look down to see different suits or even be able to go to Tony’s workshop and see all your different suits. In the wonderful but short lived animated series The Avengers: Earth’s Mightiest Heroes, there was an episode titled “The Man Who Stole Tomorrow” where the team squares off against Kang the Conqueror. In order to win the day, the team must exploit old Stark tech within Kang’s Time Chair with the lesson being that there’s always something you can learn from history. The team at Camouflaj has access to state-of-the-art technology to build what could possible be the greatest Iron Man experience to date, but that doesn’t mean that there isn’t things that can be mined from the small number of games that have starred the character they now have the honor of working on.